Comfort food for a chilly day or a late suppery-snack. Boil a head of cauliflower in water with a dash of salt until very soft, then blend with 1/2C chicken or vegetable stock, 3 Tb butter, and some spices (marjoram, ground rainbow peppercorn and parsley here) until smooth. 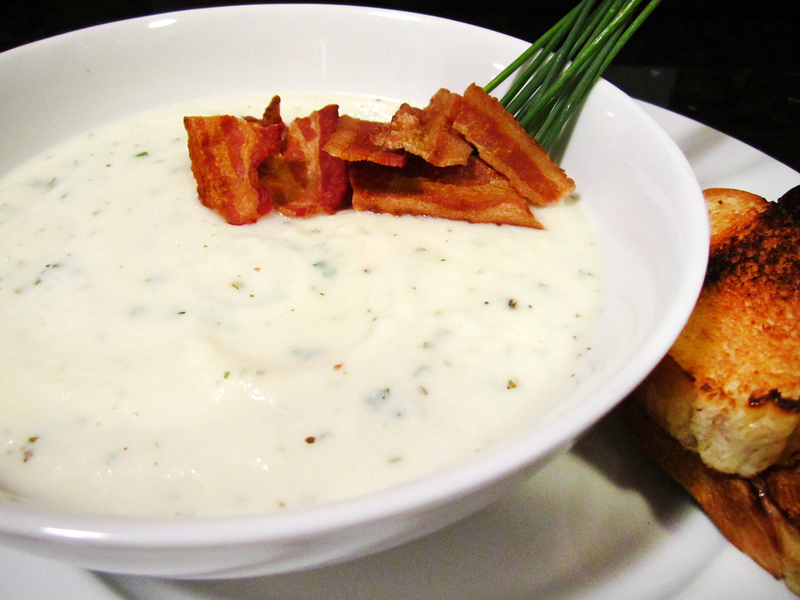 Serve with some bacon (to offset the creaminess) and toasts.